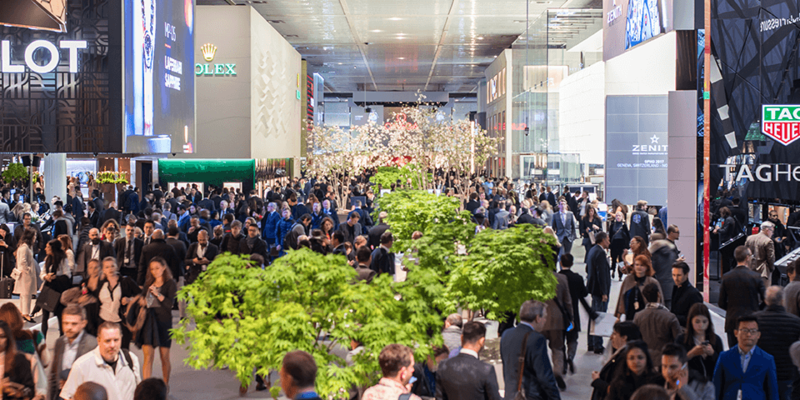 Luxury watch shows like the Salon International de la Haute Horlogerie (SIHH) has always stood as a stage for some of horology’s grandest reveals. The showcase has always been two fold – one, which is predominantly centred on setting the standard and trend on what will be heading our way from the world of horology and second, to raise the standards of watchmaking. 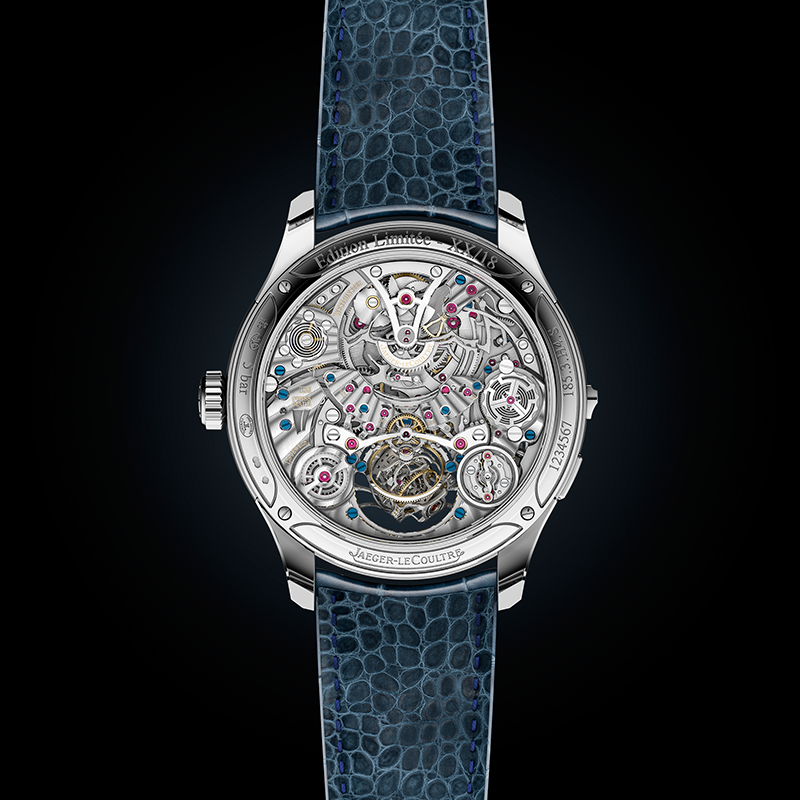 In the midst of finely crafted timepieces and novelties, some of which merge the crafts of fine jewellery and horology, most aficionados look forward to brands unveiling their new complicated pieces. After all, complications stand as the very root and essence of watchmaking, a celebration if you will, of great design, technical innovation and precise engineering. 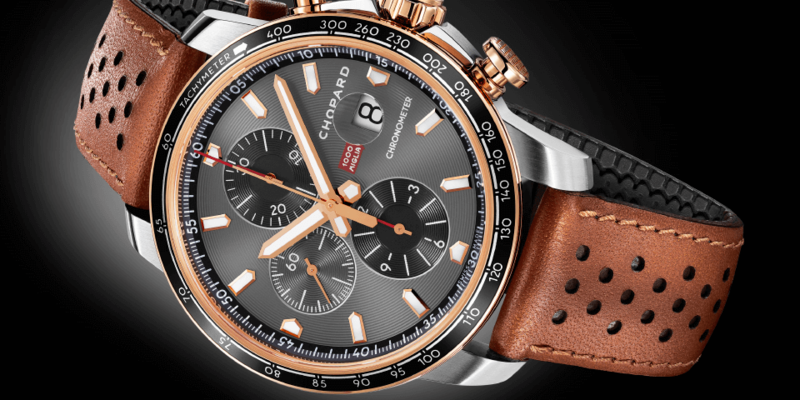 At SIHH 2019, these complicated timepieces were certainly worthy of that honour. 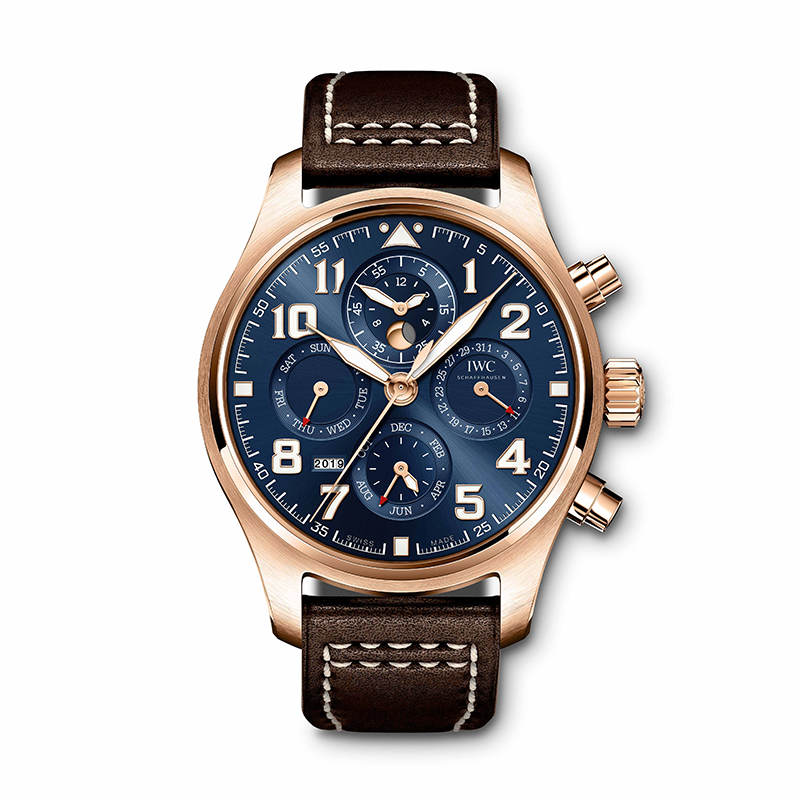 The Essentials: This isn’t the first time IWC has combined a perpetual calendar with a chronograph in one of its pilot’s watches, but it is certainly one of the most beautiful. 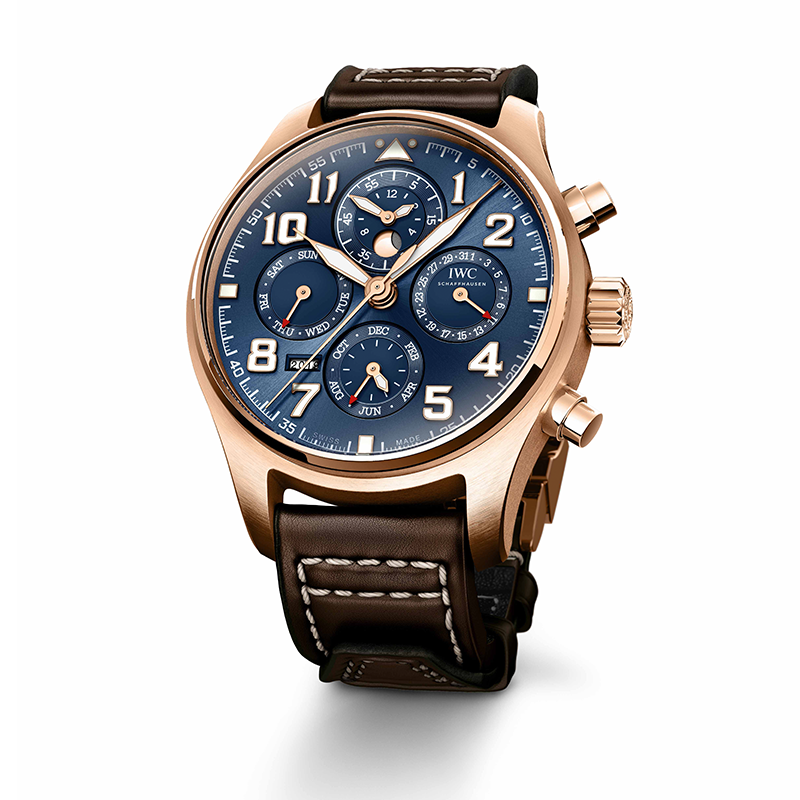 Presented in a 43mm (15.9mm thick) 18k red gold case, the timepiece features a striking sunburst blue dial with 18k gold-plated hands and a brown calf leather strap. Technical Details: Beating inside this stunner is the IWC manufactured calibre 89630 featuring a chronograph function with a 68 hour power reserve along with the perpetual calendar, which was developed by Kurt Klaus in the 1980s. The mechanism, which is built from just 80 or so parts, will not only automatically detect the different number of days in the month as well as leap years but will also reportedly work until 2100 without needing to be adjusted. The displays for date, day, month, moon phase and year are perfectly synchronised and can be easily adjusted via the crown if the watch is not worn for a prolonged period. The Essentials: Baume & Mercier delivers a new watch interpretation that combines the Baumatic BM13-1975AC-1 movement with a perpetual calendar. 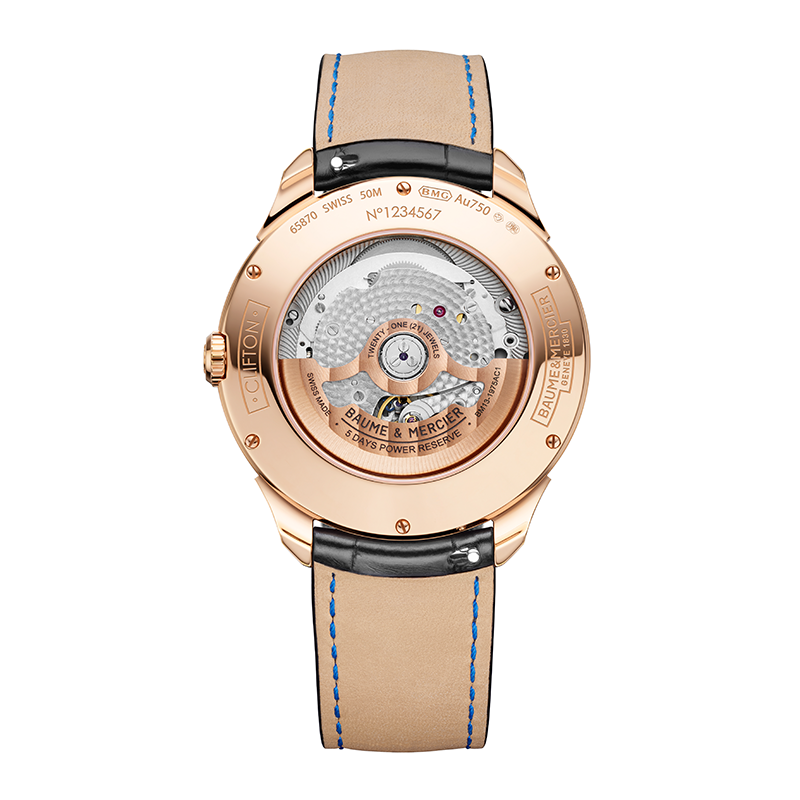 The timepiece arrives in a 42mm satin-finished 18K red gold case, which is just 12.1mm thick. The white porcelain finish of its dial is enhanced by facetted riveted hour markers and gold-tone hour, minute and seconds hands. 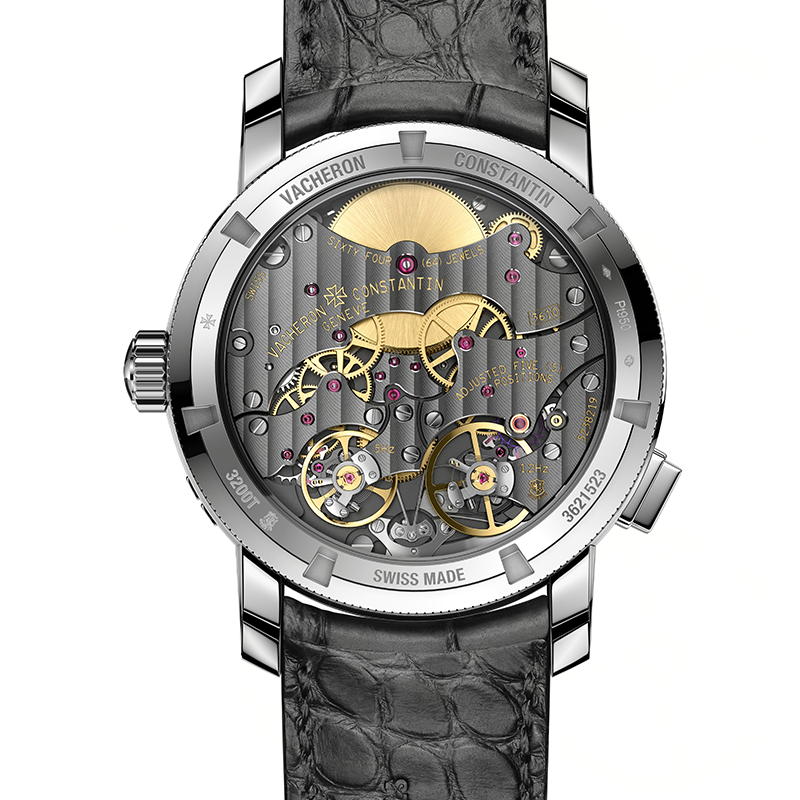 The ensemble is made complete with an interchangeable black alligator strap. 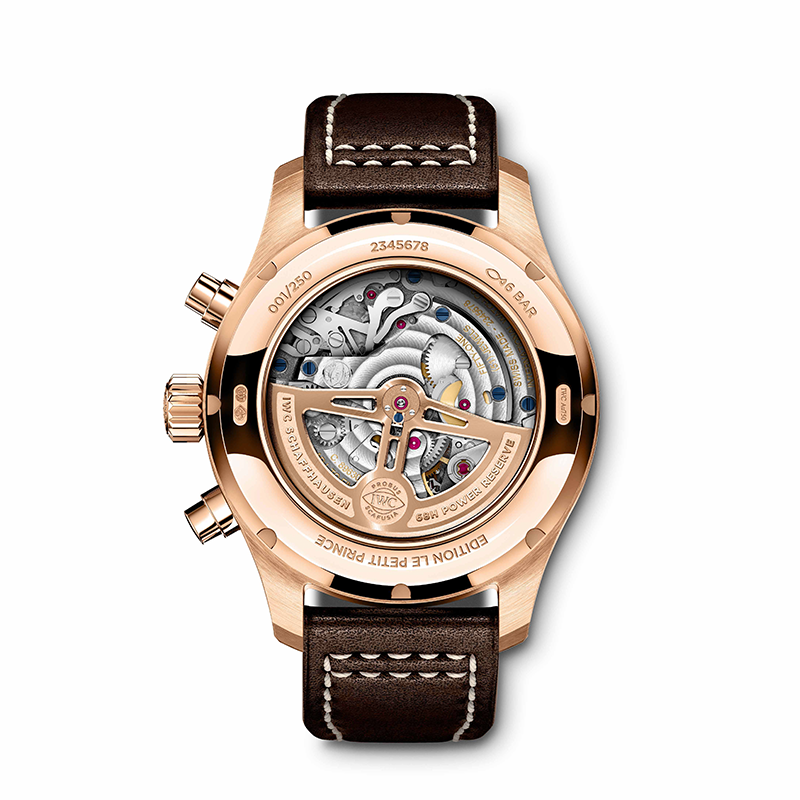 Technical Details: The Baumatic self-winding movement is renowned for its reliability. In addition to a five-day power reserve, the Clifton Baumatic Perpetual Calendar is resistant to main magnetic fields and only requires maintenance service once every seven years. 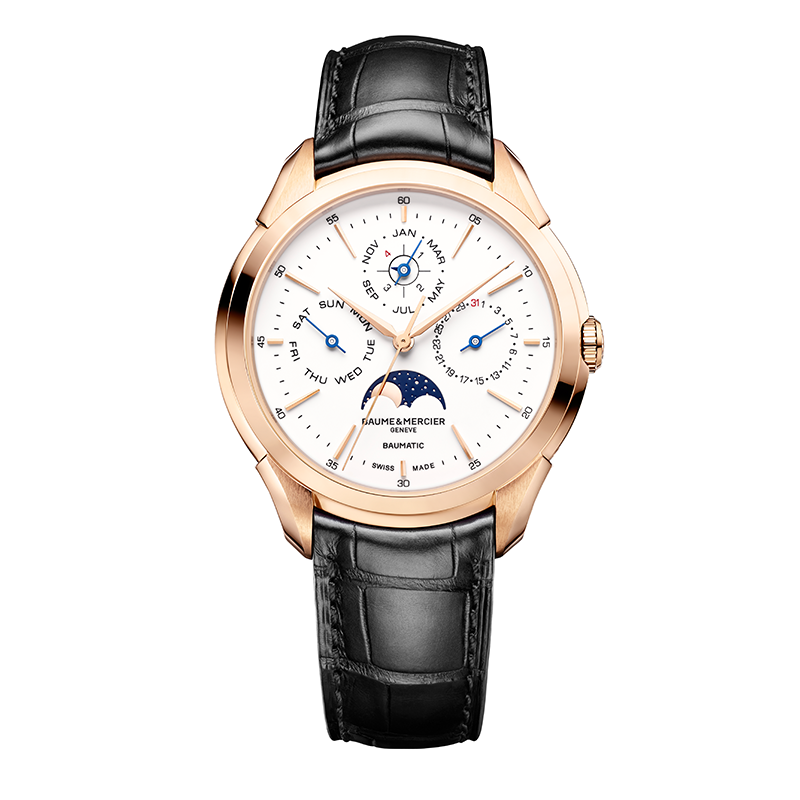 The Clifton Baumatic Perpetual Calendar indicates the date, the day of the week, the month and the phases of the moon while automatically taking into account the variable lengths of months and the leap year cycle. 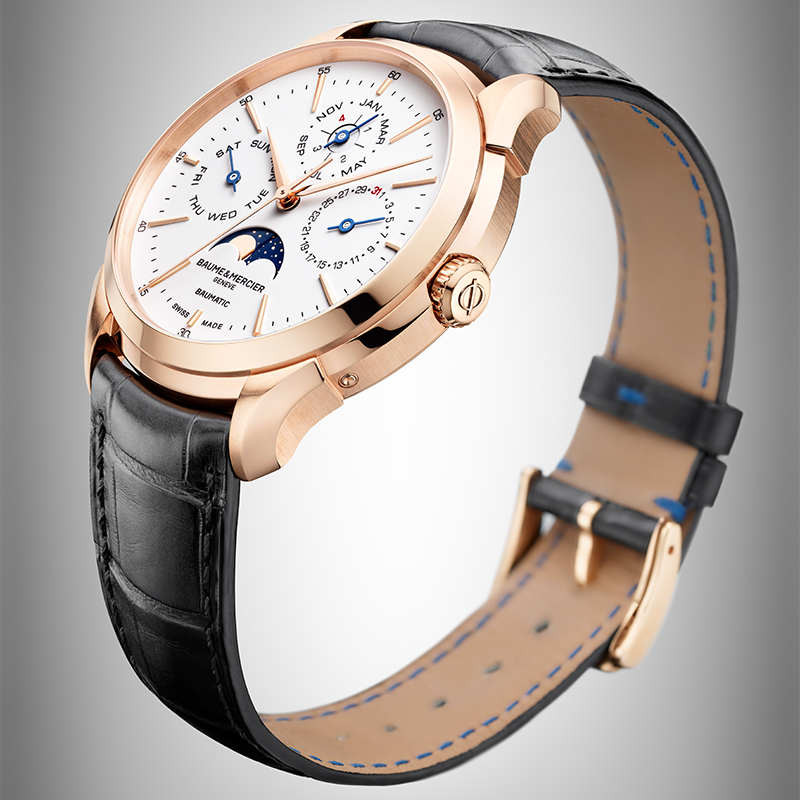 Impressively, the timepiece requires no date correction before March 1st, 2100, which is a non-leap year. 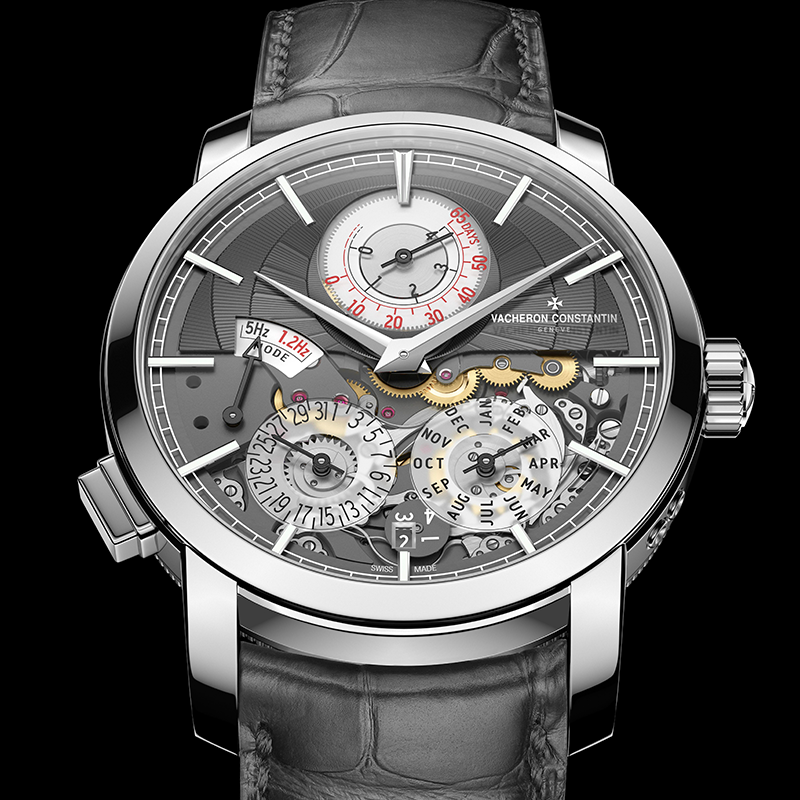 The Essentials: Vacheron Constantin raised the bar with this high complication watch, which is immaculately presented with a modern aesthetic combined with age-old finishing techniques. 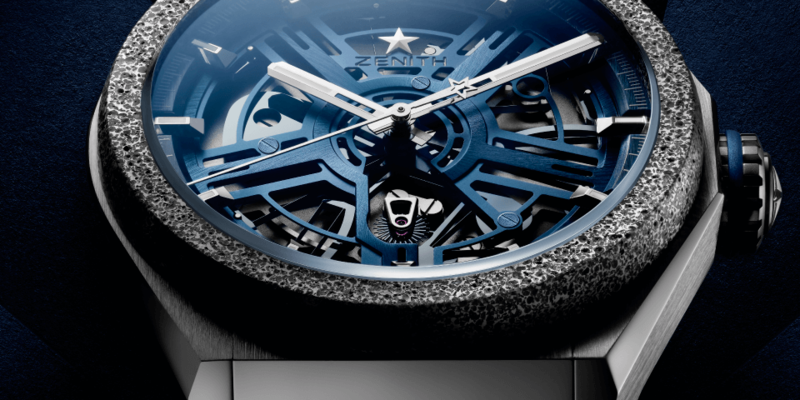 The dial is divided into two main segments – a gold hand-guilloché slate-coloured dial and transparent sapphire-crystal dial – with 18k white-gold applied hour markers, 18k white-gold hours and minutes hands. All this is packed in a polished 950 platinum case that measures 42mm in diameter and 12.3mm in height. Technical Details: A breakthrough in function and innovation, Vacheron Constantin has utilised its 263 years of horological experience to create a timepiece that can adapt to its wearer’s needs. When worn, the Traditionnelle Twin Beat Perpetual Calendar beats at a high frequency that is aligned with modern active lifestyles, displaying the hours, minutes, date, month, leap year cycle and power reserve on its dial. 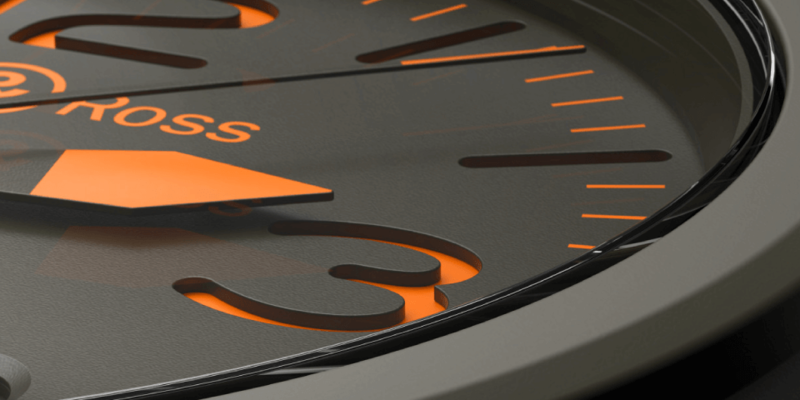 When the watch isn’t being worn, its in-house developed calibre 3610 QP can be slowed down in order to guarantee an extended power reserve of at least 65 days. 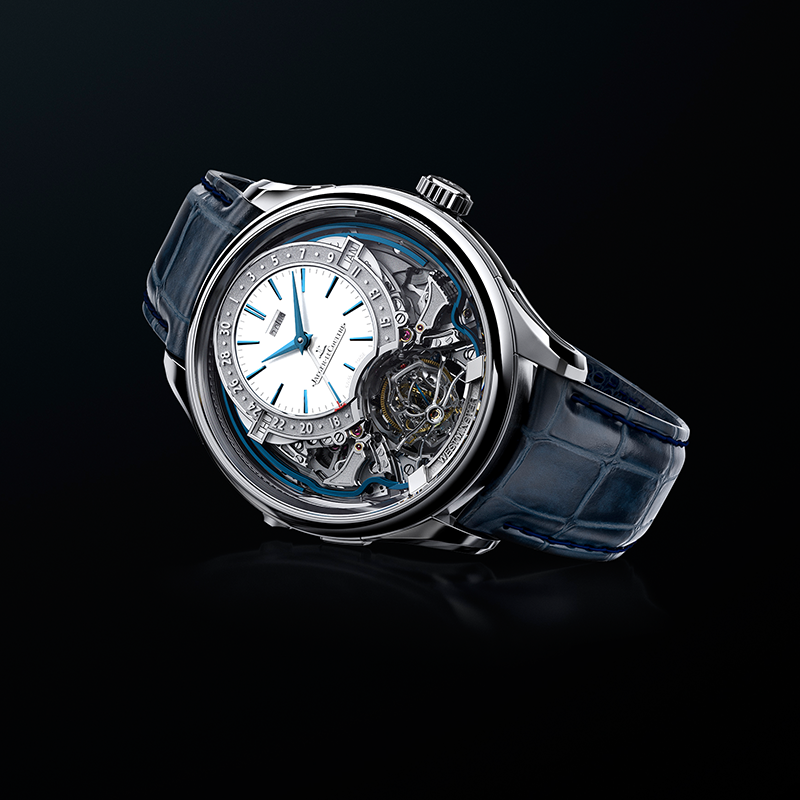 The Essentials: Using its expertise gathered since its inception in 1833, Jaeger-LeCoultre has created a truly complex piece of haute horlogerie with its Master Grande Tradition Gyrotourbillon Westminster Perpétuel. 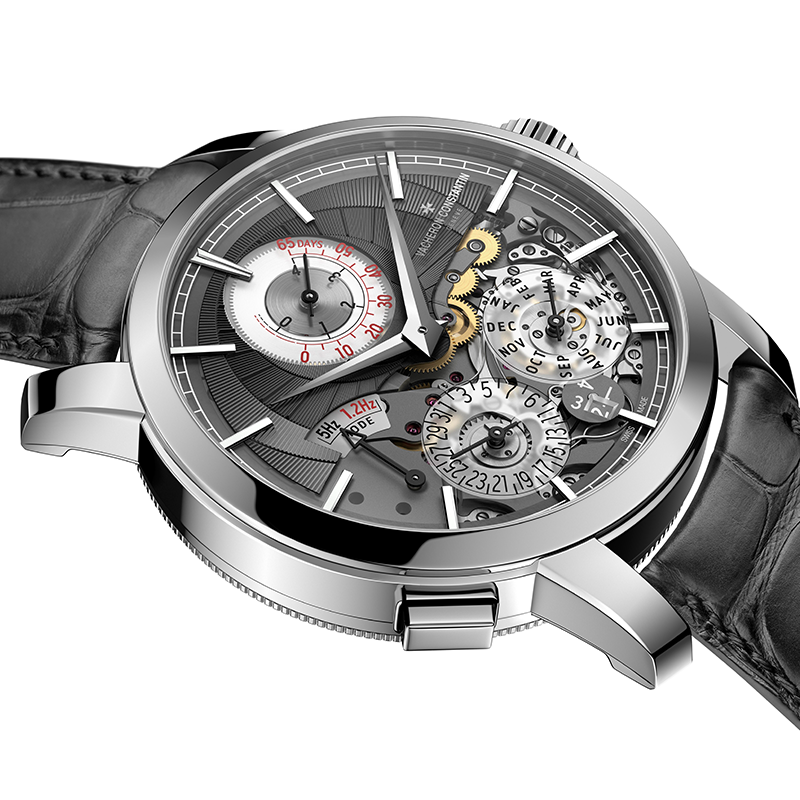 The first multi-axis tourbillon from the brand is equipped with both a Westminster chime as well as a perpetual calendar packed in a very wearable 43mm x 14.08mm white gold case. Technical Details: Aesthetically beautiful and gorgeous, the Master Grande Tradition Gyrotourbillon Westminster Perpétuel is the epitome of fine mechanical watchmaking. Further advancing the art of multi-axis tourbillons, the Westminster Perpétuel features a tourbillon that is significantly smaller than those seen before, providing more ‘real estate’ to share with other complications. 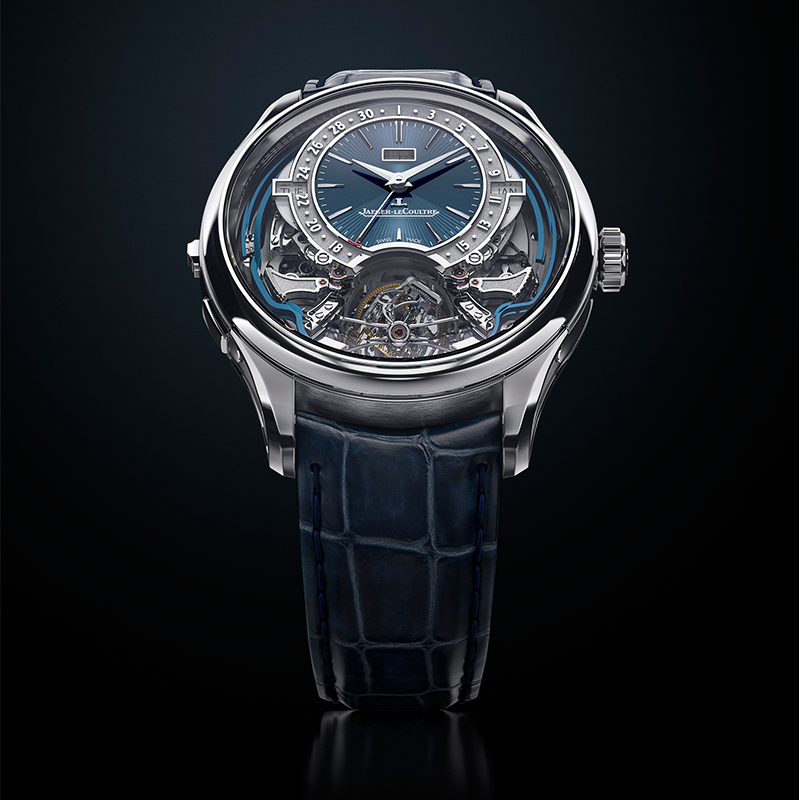 Jaeger-LeCoultre has utilised that space to great effect by incorporating a perpetual calendar mechanism with indications for the day, the date, the month and the year as well as a Westminster carillon minute repeater that replicates the chime of London’s famous Big Ben clock tower. It also boasts a power reserve of 52 hours. 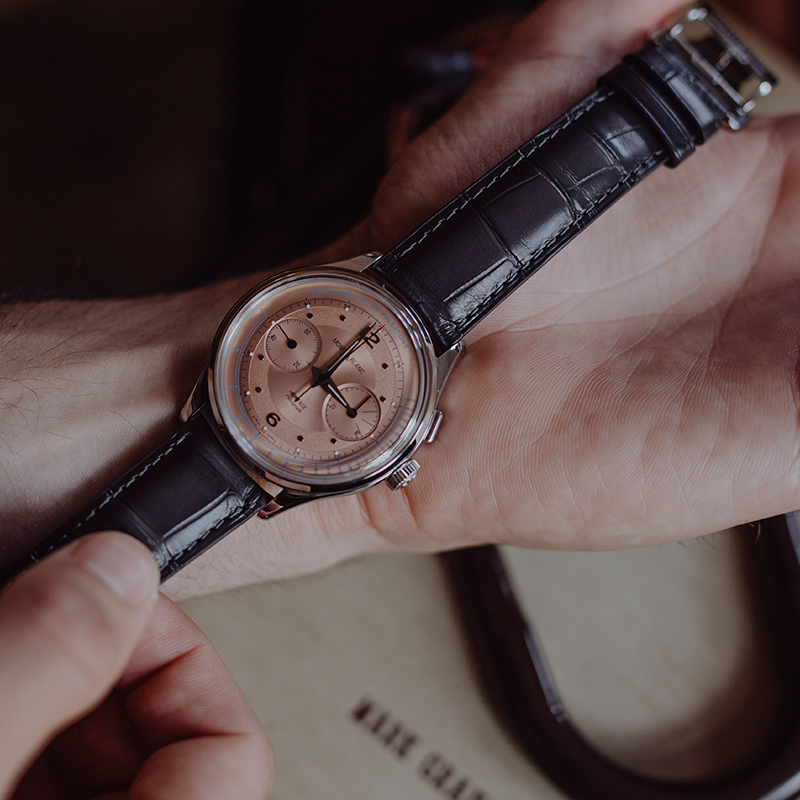 The Essentials: Inspired by historical Minerva classic wristwatches from the 1940s and 1950s, the new Heritage product line combines the elegance of watchmaking past with today’s bold design codes and technology. 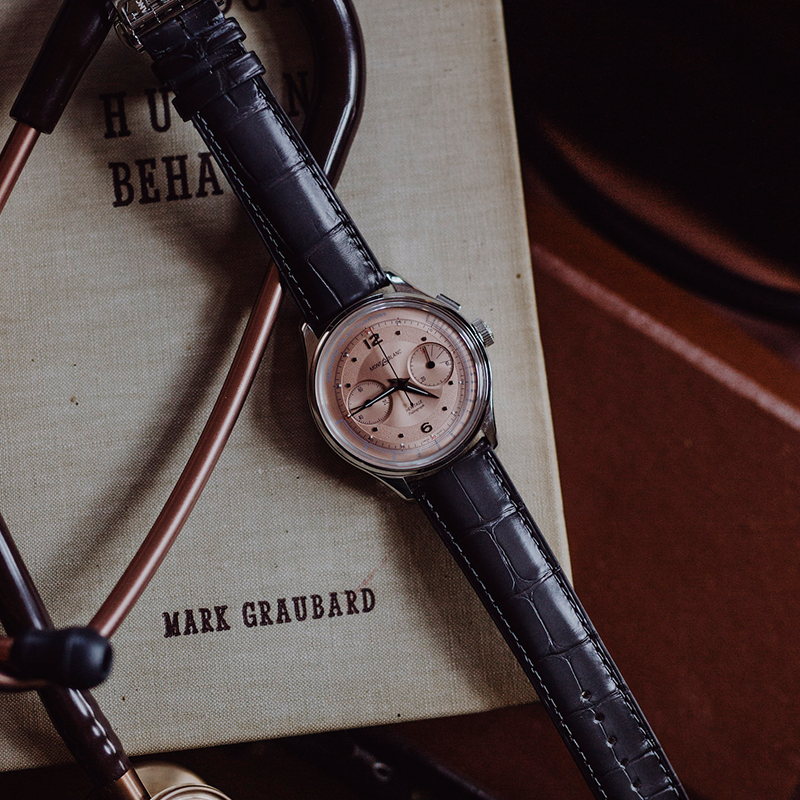 The highlight of the collection is the Heritage Pulsograph Limited Edition 100, a timepiece inspired by what collectors call the ‘doctor’s watches’. 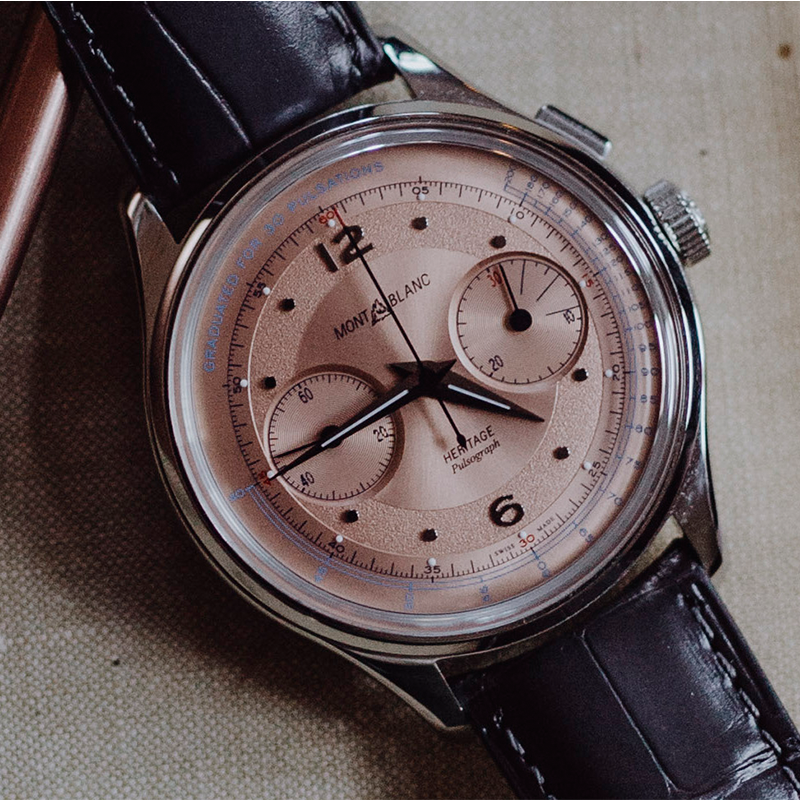 This 40-mm timepiece comes in steel and features an elegant vintage-inspired salmon-coloured domed dial. 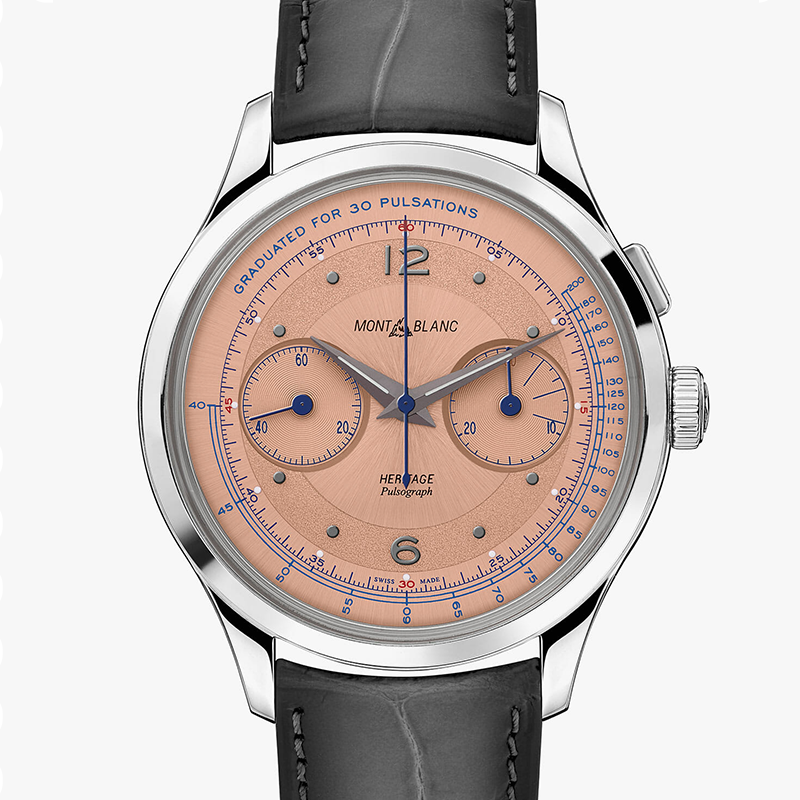 Technical Details: The heart of this piece is the Montblanc Manufacture monopusher chronograph calibre MB M13.21, a manual-wind, column wheel movement with 22 Jewels, 55 hours of power reserve and an A/h of 18,000. The movement’s German silver plates with rhodium coating, hand chamfered edges and circular graining on both sides along with Cotes de Genéve can be fully admired on the case back. 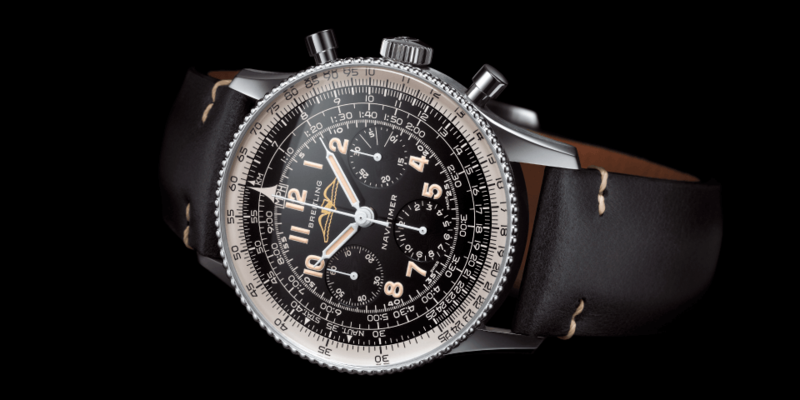 The dial itself houses several vintage design codes from vintage Minerva wristwatches and it also includes a doctor’s pulsograph indication graduated for 30 pulsations.